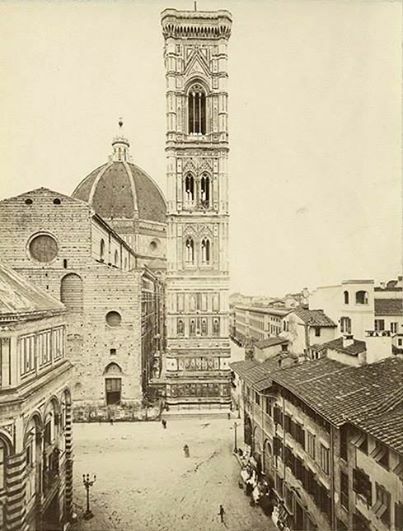 Recently, a photograph from the 1850s in Florence was posted online. 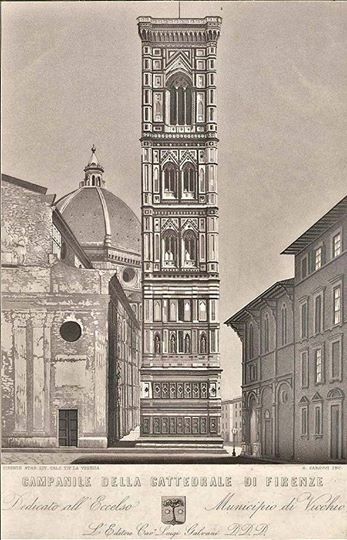 It’s one of my favorite photos of the Duomo, Santa Maria del Fiore, and it got me thinking once again about the wedding cake façade of the cathedral because once upon a time it looked like this. 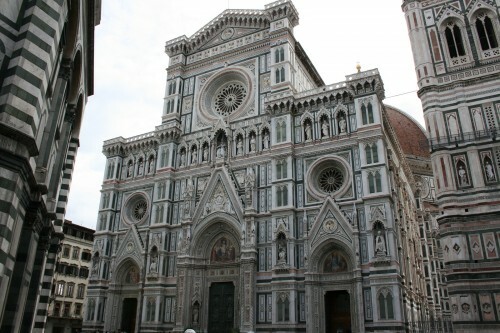 I always tell people that even though the Duomo was finished in the 1400s, the ornate façade wasn’t added until the late 1800s. The way I put it is: In the 1400s they held a competition for the design of the façade and nobody won … and then they ran out of money and then one hundred years passed … and then another century and then another and four-hundred years later, Florence was going to be the capital of the new Italian state and they couldn’t have an ugly Duomo, so they held a competition … and nobody won … so they put a committee together and came up with the present façade that everybody, except for architectural purists, loves. But I wasn’t completely sure this was absolutely accurate. I decided to dig around in my library and online. The façade of the Cathedral in pink, white and green marble, the statues, rose windows, mosaics and cusps of Gothic inspiration is the fruit of the historic and romantic taste of the architect, Emilio de Fabris (1808-1883), who, until his death, designed and directed the construction that went on for a decade (1876-1886) with input from several architects who had attempted to produce acceptable earlier designs, among them Giovanni Silvestri (1822), Nicola Matas di Ancona (1842) (who just finished the design of the façade of Santa Croce), and Gian Giorgio Muller (1843-44). 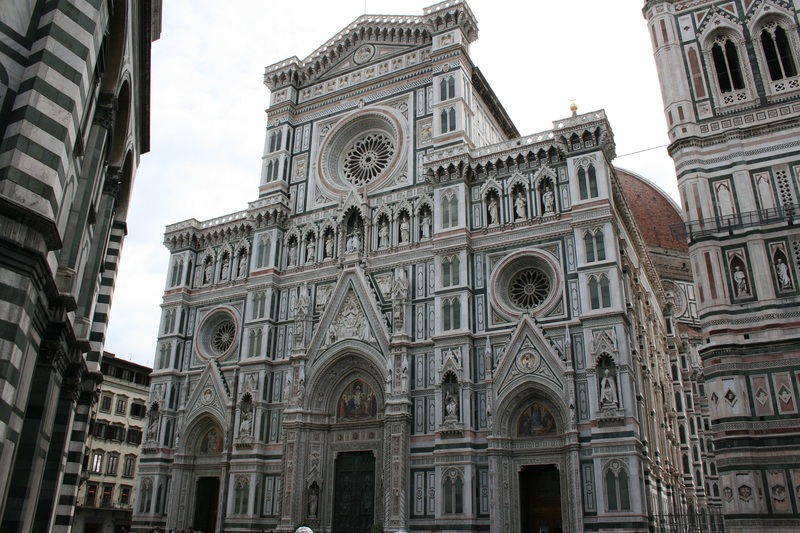 The 19th century project was the second façade for the Duomo. The first only covered the bottom third of the front exterior wall of the cathedral. 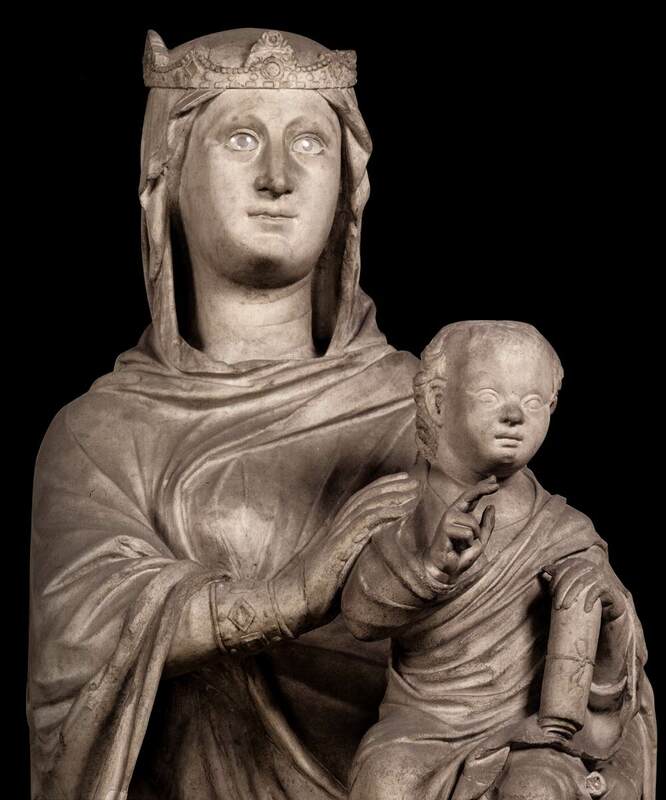 It was conceived by Arnolfo di Cambio and left unfinished at his death (circa 1302-1310). We can get an idea of what Arnolfo’s façade looked like from a drawing by Bernardino Poccetti found in the Museum of the Opera del Duomo. Poccetti’s sketch was created in 1587, when the decision was made to dismantle Arnolfo’s half-finished façade and substitute it with a more complete and modern one. Between 1302 and 1587, there was another attempt to clothe the front of the cathedral. 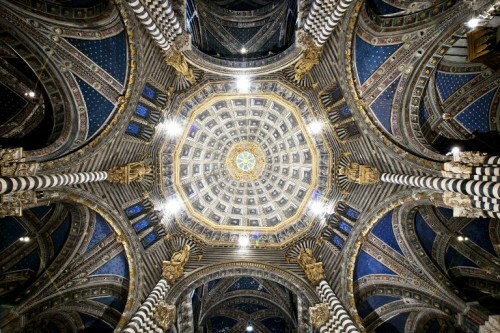 In 1490, the cathedral was declared to be in unsound condition. In the records of the Woolmaker’s Guild, which was responsible for the Duomo’s original construction, is a notice that the design for the original façade was contrary to all architectural rules and orders. The authorities resolved on its reconstruction. This decision was zealously supported by the most influential citizen of the day, Lorenzo de’ Medici. A meeting to consider the matter was convened within the cathedral itself, but, though many eminent artists attended, the discussion ended without coming to a satisfactory conclusion. 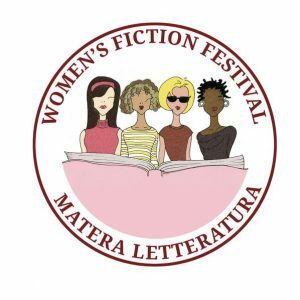 The first competition for its completion was announced in 1491, but the jury put off choosing the winner because they did not find any of the presented projects particularly convincing. In one of the upper floors of the Museo Opera del Duomo there are various models and architectural drawings proposed for the new façade to replace the one by Arnolfo. The façade was left in its unfinished state until the reign of the Grand Duke Francesco I (1575-1587). 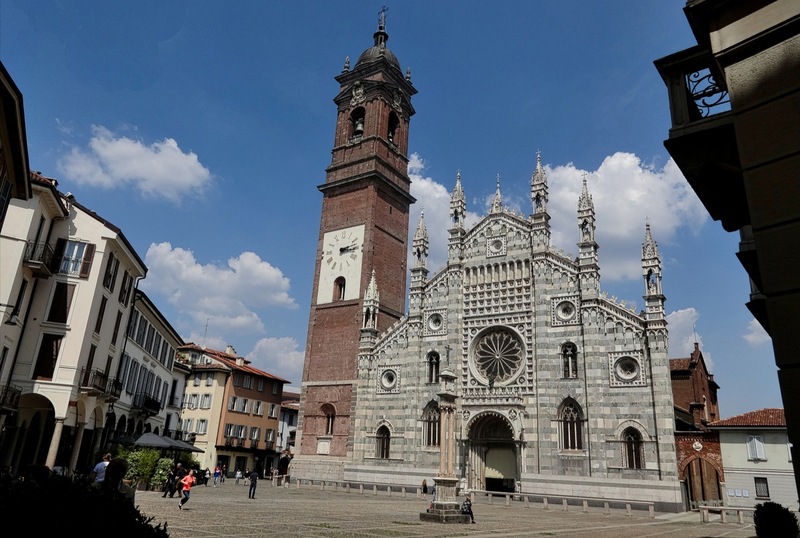 Finally, the Gothic façade of Arnolfo was torn off in 1587. The court architect Bernardo Buontalenti proposed that the Medici Grand Duke undertake the project by including it in the program intended to modernize the city that had already been started in Vasari’s time. Buontalenti took part in the 1586 competition with a model of classical Baroque inspiration, which we are probably lucky was not carried out. 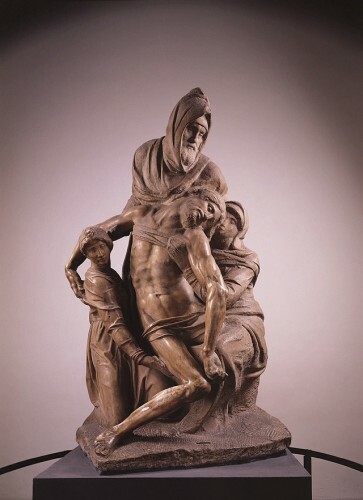 Other participants in the competition included the sculptor Giambologna and Don Giovanni Medici (1566-1621), the illegitimate son of Cosimo I and Eleonora degli Albizzi (he was the architect of the Chapel of the Princes in San Lorenzo). 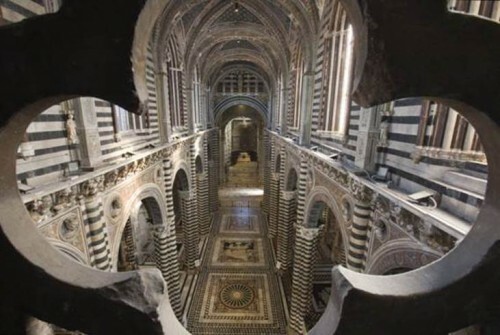 As part of the removal process, some of the original marble Arnolfo elements were integrated into the new flooring that was being laid in the interior of Santa Maria del Fiore. 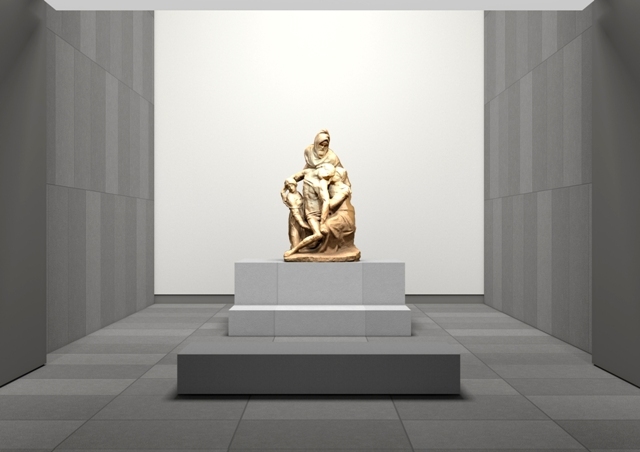 A few statues were transported out of Italy and ended up in museums in France and England. 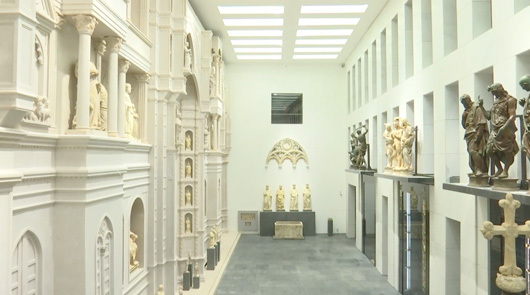 But most of the sculptural elements and statues were stored inside the Opera del Duomo, later converted into the present Museum. The 1586 competition resulted in no decision, no construction. A new competition was held in 1633, this time won by the Academy of Fine Arts. 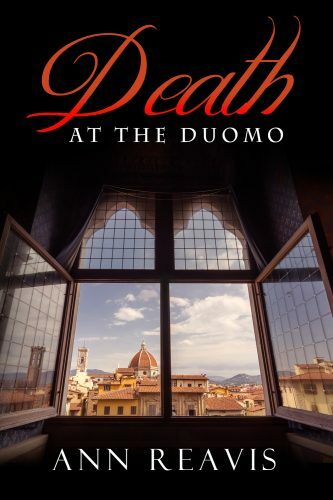 The execution was entrusted to the Opera del Duomo’s architect, Gherardo Silvani. 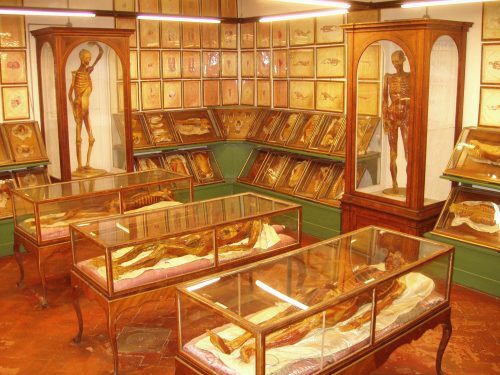 The first stone was laid in 1636, but two years later everything was suspended because of the fierce criticism of the project by Silvani himself, who had also unsuccessfully presented a model of his own in the 1633 competition. At this time there was also some sort of scandal that erupted over the project. The new unfinished façade was condemned and removed. In 1689, on the marriage of Prince Ferdinando, the second son of the Grand Duke Cosimo III, with Duchess Violante Beatrice of Bavaria, the rubble and cement on the front of the cathedral were covered with a coating of paint, representing columns and other architectural decorations. These eventually faded away, worn by time and weather, over the hundred and sixty years that passed before the Cathedral project was revived. 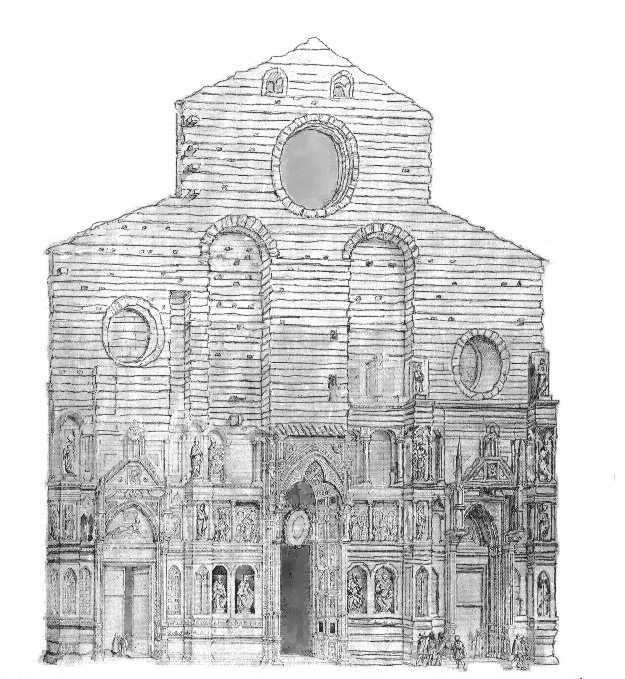 In 1843 Nicola Matas di Ancona proposed a design for the façade. Other architects argued for their own designs. In 1859 a new competition was held. Politics intervened and another competition was commenced in 1861. The judges were dissatisfied with all of the proposals. In 1863, another competition was held. 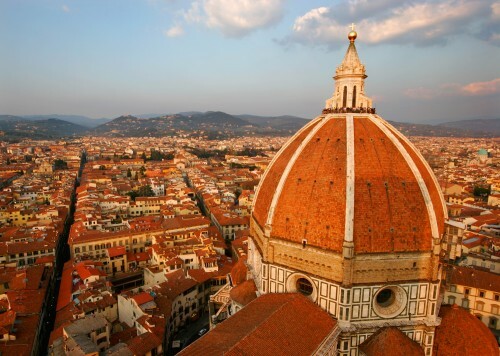 In 1865, the year Florence became the capital of Italy, a new panel of judges awarded the prize to Emilio de Fabris. But, subsequent discussion rendered that decision null and void. Another competition was called for. 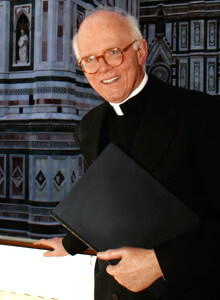 This time, the panel was chaired by Pietro Salvatico. 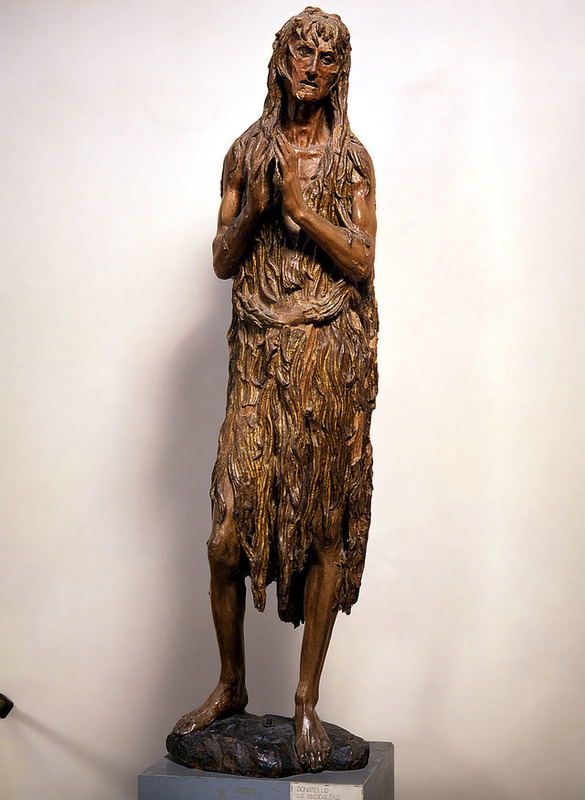 He liked Emilio de Fabris’s design, but wanted some changes. 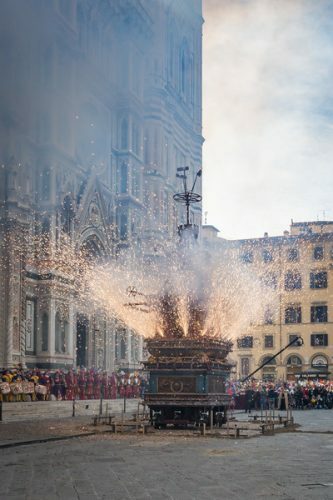 A bit of back and forth ensued and in 1876, five years after the capital of Italy moved to Rome, the work on the present façade of the Duomo began. Ten years later, it was completed. 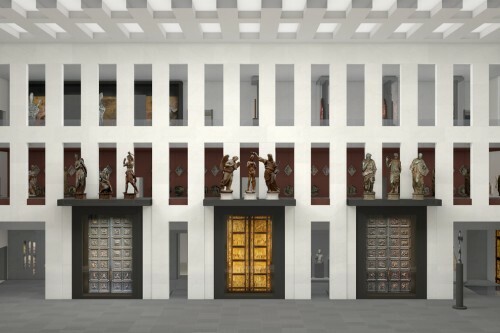 Then the critics began to weigh in, viewing the design and execution as those that would be expected from a committee, which attempted a modern concept while having to incorporate four hundred years of architectural history in the design. 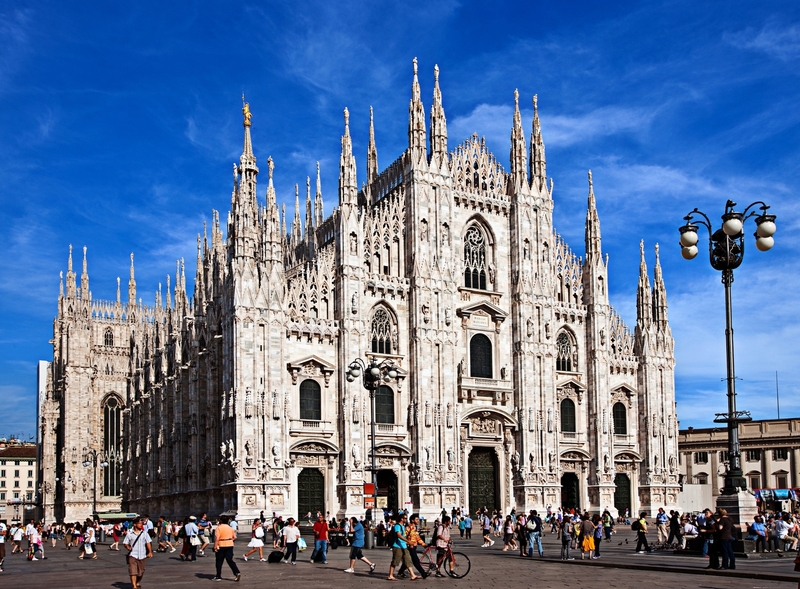 Architectural purists may not like the Duomo’s façade, but most of us are in awe every time we see it. 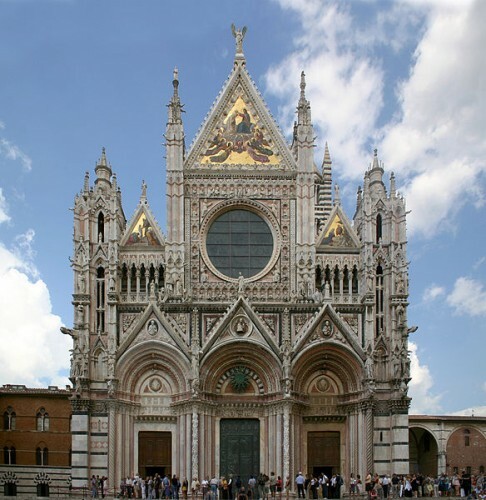 Experience the extraordinary opening of the Porta del Cielo (Door of Heaven) – or, at least, Siena’s version of it. 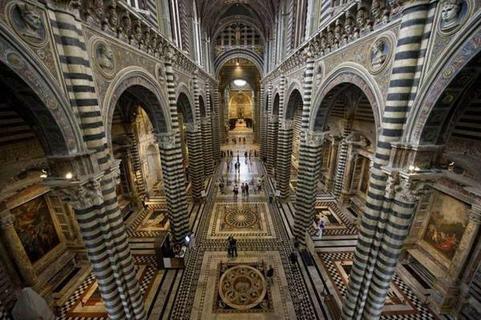 From April 6 to October 27, 2013, if you happen to visit Siena, don’t miss this spectacular opportunity. 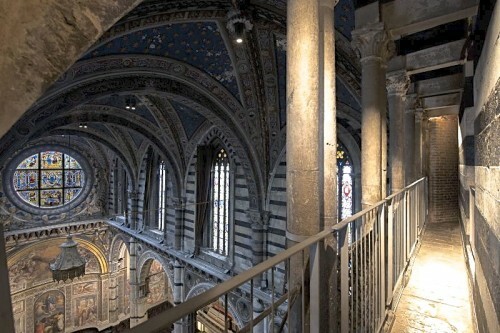 For the first time, after extensive renovation, it will be possible to take a tour of the walkways in the vault of the Duomo of Siena. Internal passages, balconies (both inside and outside) and hidden attic spaces will be open to small, guided groups. Until now, these parts of the Cathedral were accessible only to the architects and builders in charge of maintaining the structure over the centuries. 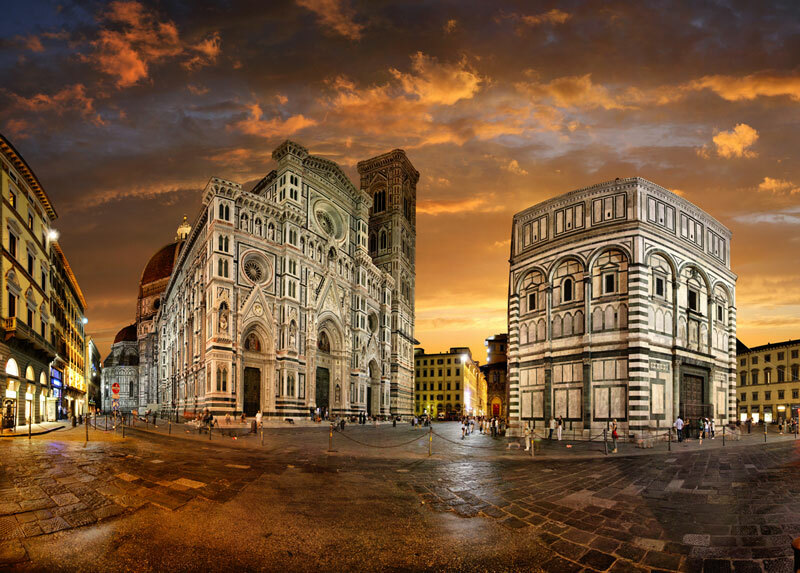 The two massive towers on each side of the façade of the Duomo house spiral staircases that lead up into the roof where there is a series of walkways and rooms that provide astonishing views of both the interior of the Duomo and the city of Siena outside. You will be able to look down onto the marble intarsia floor of the main nave and understand its design in a way that until now could only be done through photographs. 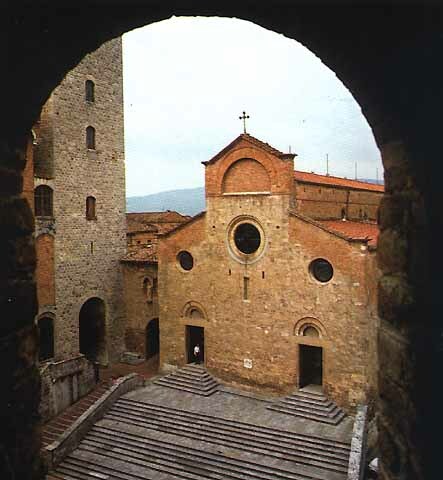 You will be able to traverse the walkway over the main altar and almost reach out and touch Duccio di Buoninsegna’s stained glass rose window. Finally, you will be able to walk along the balcony inside the dome of the cathedral from which there is a fabulous view of the high altar. 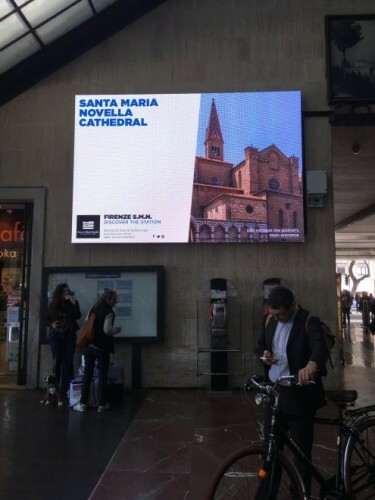 The visiting itinerary “from above” will thus permit visitors to better understand the dedication of the Cathedral of Siena to the Assumption of the Madonna, and the strong connection the people of Siena have had with their ‘patron’ for centuries: Sena vetus civitas Virginis. 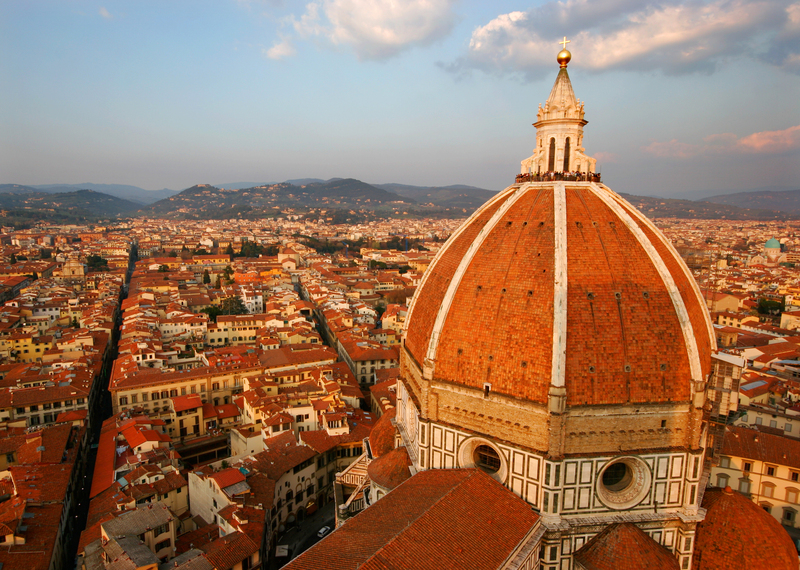 The exterior views extend over the Basilica of St. Domenico, the Medici Fortress, the entire dome of the chapel of St. John the Baptist and the landscape of the surrounding Sienese hills. For all of the details of what to wear and what to consider before taking the tour see the official website.